A woman whose ex-boyfriend died after she beat him with her size-12 high-heel shoe has been charged with manslaughter, police said. Roosevelt Bonds, 51, died early Saturday after the brawl outside a Brooklyn nightclub, police said. Anna Rhinehart, 40, apparently knocked him down and beat him repeatedly with the shoe, police said, while the 220-pound woman sat on him. One of her five children is his, authorities said, but the two had a stormy relationship. A spokeswoman for the city medical examiner said Bonds died of chest compression and blunt trauma to the head, neck and torso. Rhinehart, who was charged Sunday, was awaiting arraignment. 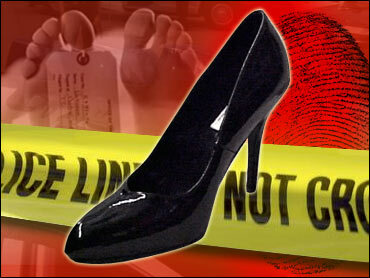 She was charged with manslaughter and criminal possession of a weapon — her shoes. In court Sunday, she was missing two teeth and had bruises, which she and her attorney contend were inflicted by Bonds in a jealous rage, the New York Daily News reported. However, it was Bonds who had an order of protection against Rhinehart. It expired Friday. He expired Saturday.